New & Effective Colon Checker! A colon can be used after a sentence or independent clause when introducing a list of items. Colons can only be used between two sentences if the second sentence relates to the first. If two sentences follow the colon, the first word of each sentence should be capitalized. If only one sentence follows the lead sentence then you should not capitalize the first sentence. Use a colon to introduce a quotation that is longer than three lines. Quotation marks shouldn’t be used and you should single space the quotation and indent only from the left margin. Use a colon following the greeting in a business letter. Regardless of whether the first name, last name or job title is used in the greeting a formal business letter requires that a colon is used. A personal letter may use either a colon or a comma. Colon and semicolons are sometimes confused with each other but while there is some similarity, they are not the same. The main function of the colon is to introduce whatever follows it such as a list, a statement, or an explanation which the semicolon does not do. It is fairly easy to learn how to use the colon. Grammar rules related to the colon are brief, making it easy to perform a colon check to ensure proper usage. Having good grammar won’t guarantee a promotion, that you will be accepted to Harvard or that you will write a best-selling novel. However, it won’t hurt your chances of any of those things happening. 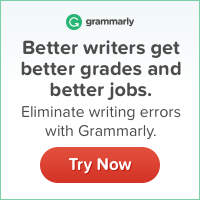 We provide a free grammar checker online that you can use to improve the grammar of any type of document you write. We provide the grammar checker free of charge for those who would like to take advantage of the chance to produce error free papers quickly. Try our colon checker today!